On February 27, 1932, Nature magazine published a letter signed by James Chadwick, a 41-year-old English physicist who worked with Nobel laureate in Chemistry Ernest Rutherford at the Cavendish Laboratory of the University of Cambridge. The title expressed some uncertainty in the mind of the author: “Possible Existence of a Neutron“. A few months later, Chadwick published “The existence of a neutron” and demonstrated, now stripped of any doubts, the real existence of this basic particle, the neutron, which together with protons and electrons makes up the atom. With this discovery he concluded, at least for the moment, one of the longest and most complex searches in the history of science: the structure of the atom, the essence of matter. In 1935, Chadwick received the Nobel Prize in Physics. Since then, neutrons have been associated with nuclear fission, a technology that lives in the ambiguous state of being both essential and terrible for humanity: by harnessing its power, electricity is generated in nuclear power plants, but it also possesses the ability to destroy us through nuclear weapons. In the 1960s, however, the special nature of neutrons—their mass is similar to that of the proton but lacks an electrical charge—allowed them to start a new life with the construction of the first neutron sources. These have a purely scientific purpose: to generate beams of neutrons that, being neutral, can pass undisturbed through the electrical forces that surround the nuclei and penetrate into the materials, showing the most intimate details of their internal structures. They work in a similar way to X-rays, but instead of illuminating with X-rays one’s knee, for example, beams made up of millions and millions of neutrons reveal the hidden interior of an airplane wing, the battery of a mobile phone, a protein from a virus, or the stillness of ancient pottery. Due to the dimensions and complexity of these facilities, they would need to be giant microscopes. Helmut Schober, German physicist and director of the Institut Laue-Langevin (ILL), the “main source of neutrons in the world”—his words—likes to refer to motorways as an appropriate metaphor of what happens when you fire a beam of neutrons at a material: “Let’s say that neutrons travel on a highway and when you put your sample in the beam, on the motorway, the directions and the speed of the neutrons are changed—they bounce off the nuclei and slow down or accelerate. Then we measure the deviation of the neutron in terms of direction and speed,” he explains. It could be interpreted as a journey in which the neutron accumulates information of everything it sees along its trajectory through the layers of billions of atoms and atomic layers that make up a material. “The direction in which it will be scattered is determined by everything it has experienced, each of the interactions with the particles found on the highway. So, we get information not about individual particles, but about the whole material,” adds Schober. There are two ways to generate neutrons: in nuclear reactors or in particle accelerators. Both are incredibly complex facilities designed to respond to one surprisingly simple cause: the comfort of neutrons. 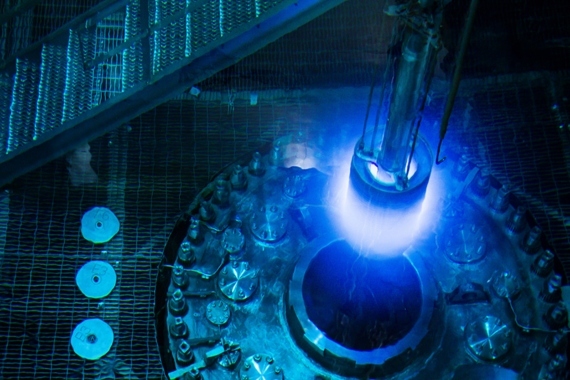 “The neutrons we want to use always try to have at least one proton, or several, as partners, and feel extremely comfortable within a nucleus,” says Schober. “To isolate them you must free them from this grip, which requires effort and energy: either you have a nucleus that is close to instability, like uranium 235, and then you break it apart with the fission process and you produce neutrons, or you use a highly energetic particle like a proton, accelerate it to high energies, shoot it against a nucleus and you release neutrons. This is what is called the spallation process,” he concludes. When Schober talks about accelerating protons at high energies he’s not joking: they reach 96% light speed, or to put it another way, they could circle the Earth in seconds. 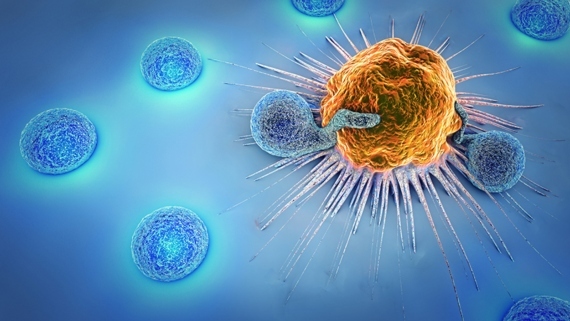 The neutron beams are then directed towards different specialized instruments in specific areas: biomedicine, materials science, engineering, art… In the ILL, with 40 instruments, pharmaceutical drugs have been analysed to block an enzyme responsible for the maturation of the HIV virus; the lithium ion cells of electric cars are studied; the effect of pollutants such as carbon nanoparticles in the lungs are investigated; the physical mechanisms of Alzheimer’s… This reminds Schober of an orchestra, in which each instrument has a different function. The ISIS Neutron and Muon Source, a smaller neutron source located at the Rutherford Appleton Laboratory near Oxford, has been used to study materials from the wings of the Airbus giant A-380. The history of the first neutron sources has been intensely political; Chadwick himself spent the First World War in an internment camp near Berlin accused of espionage. In the decade of the 1960s, the United States, Russia and Europe battled to take the lead in the technological development that had been so decisive in the previous world wars. In 1966, the Americans inaugurated the nuclear research reactor called HFIR (High Flux Isotope Reactor) at the Oak Ridge National Laboratory in Tennessee, created as part of the Manhattan project. A year later, German Chancellor Konrad Adenauer and French President Charles de Gaulle signed a scientific collaboration agreement for the purpose of avoiding future wars between the two countries. 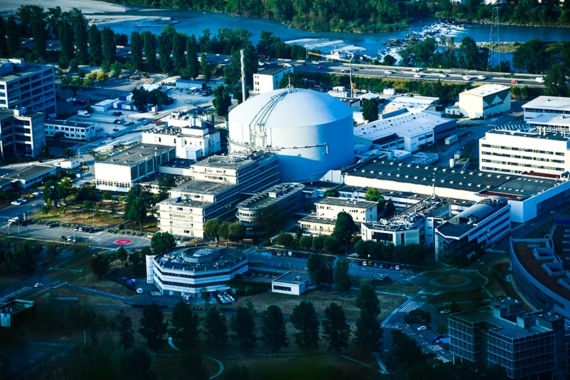 This included the construction of a European neutron source that competes with the HFIR. In 1969 the ILL began to be built and three years later the first experiment was carried out. In 2006, the Oak Ridge Laboratory opened another neutron source, the Spallation Neutron Source. 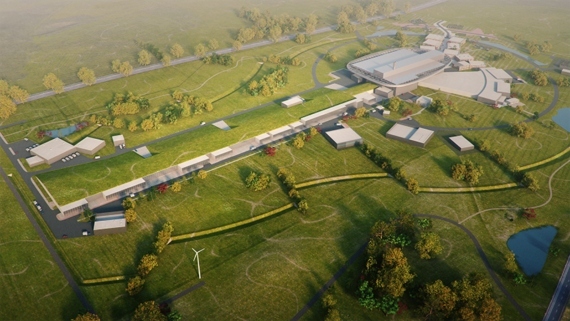 To maintain its leadership, Europe is building the European Spallation Source (ESS) in Lund (Sweden), which will generate neutron beams 30 times brighter than the existing ones and take over from the ILL (although it will remain in operation). It is expected to be inaugurated in 2025.